One cooker supplied, with full instuctions. HOUSEMAID KIT, NBC TESTING PAPERS. SLEEPING BAG LINER. 2 X GORTEX COLD WEATHER MITTEN STYLE GLOVES. Includes all Velcro pull out pouches. Here is a cotton liner designed for use with the current issue warm weather rectangular sleeping bag, or similar. Label reads 'LINER, SLEEPING BAG, ARCTIC' NSN 8465-99-132-1389. Velcro closure front opening, and box section toe to give plenty of room if you have to sleep with your boots on! The braces attach to the trousers via 6 buttons. Made in the UK using MOD specification silnylon and ITW cord lock, this is a copy in size of the current issue shelter sheet stuff sack. 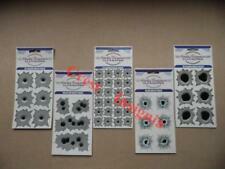 Material edges are cut by thermal cutter in order to prevent fraying. Here we have a set of two camouflage face paint sticks. A convenient two-tone camo stick that creates pattern disrupting stripes quickly and effectively without the need for a mirror. Stick weight: 30g (1oz). 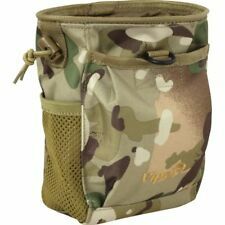 Small MoD issued waterproof compression bag intended for carrying the issue warm weather sleeping bag. A superb Condor tactical shoulder bag. The shoulder strap is adjustable and removable. the back has a large velcro closure pocket. A must for all outdoor and militaria enthusiasts. British desert camo pattern, as used in the basha sheets themselves. These lids fit our stainless steel cook mugs, item 382264461857 perfectly. Size approx. 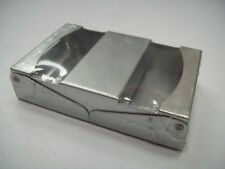 135 x 90mm. 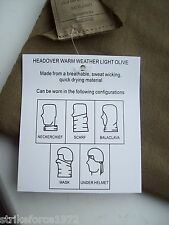 GENUINE BRITISH ARMY AND ROYAL MARINE ISSUED SLEEPING BAG COVER. SPECIAL FORCES TEND TO USE THESE INDEPENDENTLY AS A SLEEPING BAG ALTERNATIVE. LONG LENGTH DESIGNED TO ACCOMMODATE ALL SIZES OF CURRENT MILITARY SLEEPING BAGS. For Sale: A Household Cavalry Other Ranks sword belt as worn under the tunic or under the cuirass, the white leather sword slings are attached to this. BRITISH COMBAT MEDIC'S FIELD TRAUMA KIT, UNUSUAL! UNUSUAL TO ENCOUNTER A COMPLETE KIT LIKE THIS. 1 X PAIR OF NEEDLE HOLDING SUITURING TWEEZERS. 1 X PAIR OF SAFETY ACCESS CLOTHING CUTTING SCISSORS. 1 X PAIR OF ROUND NOSED SAFETY SCISSORS. 1 X RIGHT ANGLED TIP PROBE. TOTAL CASE WEIGHT APPROX 21.5 KG. 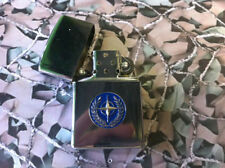 Op HERRICK 10 Individual Aide Memoire Afghanistan used. Condition is Used. Ideal for a collector. All original and genuine. Dispatched with Royal Mail 2nd Class. British / US army black Gore-Tex Matterhorn combat boots with Vibram soles stamped 7 1/2 in the tongue but not sure if that is US or UK size. In good used condition (see photos). Ideal for cadet or fisherman. 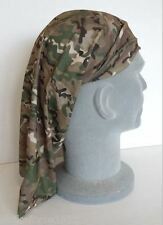 Genuine British Army Issue Olive Green Scrim Face Neck Veil / Scarf Brand new in the bag Genuine army issue. Much loved by the para's and worn in camp when wearing para smocks as they love to look ally Can be used as a neck scarf, face veil, concealment net, or can be cut up and used as camouflage for weapons, sights etc, uses are pretty much endless Olive Drab in colour Made from a lightweight woven cotton to aid drying Huge compared to most cheap commercial copies, it measures approx 140cm x 146cm. Trauma Pack. Condition is Used. Dispatched with Royal Mail 1st Class. Battlefield Casualty Drills Aide Memoire ninth Edition April 2017. Latest version.. Condition is New. A GENUINE BRITISH ARMY ISSUED ENTRENCHING TOOL. 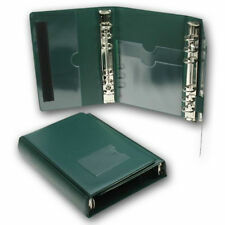 THIS IS THE IMPROVED FOLDING PATTERN TOOL (THREE SECTIONAL), WITH AN EASY TWISTING LOCKING DEVICE. NSN NUMBERED PROVING ACTUAL BRITISH MILITARY ISSUE. British Army MTP General Service holdall. Condition is New. Dispatched with Royal Mail 2nd Class. 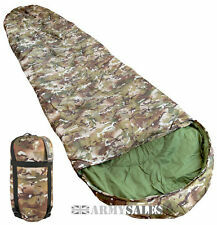 Military Syle 3 Season Sleeping Bag by Kombat UK in BTP Camo (very similar to the British Army MTP Patern). Compact wash bag in Multicam. Versatile bag with multiple pouches and removable mirror. With carry handle and hanging hook. The list of uses goes on and on! A BRITISH ARMY PARACHUTE STATIC LINE HOOK ASSEMBLY. OR WITH A SHORT STRAP. PRIOR TO GETTING INTO A LINE IN THE AIRCRAFT, IN HIS 'STICK' OF COMRADES. PREPARING TO EXIT THE DOOR OF THE AIRCRAFT. THIS COULD ALSO BE UTILISED AS A KEYRING HOOK! British Woodland DPM Camouflage. Genuine British Army Surplus Yoke. These form the main shoulder harness of a PLCE webbing system. Waterproof Cordura. Pouches / Webbing. Worldwide surplus. 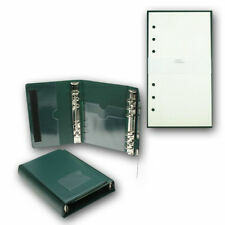 We do in addition frequently have available a range of. Here we have the rarely seen large belt pouch designed to carry 200 rounds for the minimi light machine gun. Small velcro closure pouch at the side to hold an oil bottle for the minimi. 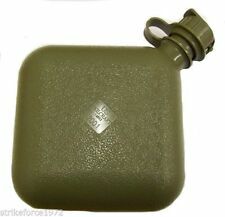 These pouches are quite rare in woodland DPM colour, as soon after their introduction the colour of most load carrying gear switched from DPM to MTP instead. British Army Genuine Issue Woodland DPM Sniper Knee Pads. Issued to snipers to be sewn to the knee area of trousers for comfort and added protection to the knees whilst moving around the ground.